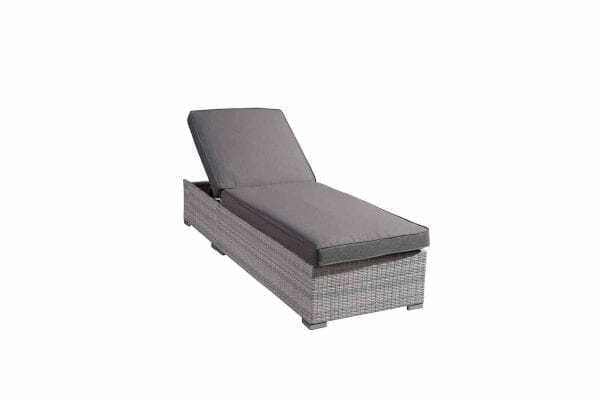 Velago Patio Furniture is a brand of 1291 Furnitures Inc., a corporation registered in Ontario, Canada. These Terms and Conditions are integral part of any order placed with Velago Patio Furniture or 1291 Furnitures Inc. (hereafter “Velago”), be it an order placed online through this website or an order placed over the phone. By creating an online account with us, you as a user agree to accept responsibility for all activities that occur under your account. Users further agree to be responsible for maintaining the confidentiality of their account and their password and for restricting access to their computer. As a user under 18, you may only use the Velago website together with a parent or guardian. Velago reserves the right to accept or refuse accounts and to terminate accounts, to edit or remove content, and to cancel orders at their sole discretion. As a user, you agree to make any complaints regarding defects within 5 business days after the receipt of the products. Any defects emerging at a later date, i.e. during the warranty period, the user agrees to report to Velago immediately after their discovery. Velago agrees to repair any acknowledged defects, or to replace defective products. The user agrees that any further claims are excluded after the replacement of a product. Our warranty is limited to production defects and defects in the materials used for production. It excludes any damage resulting from regular wear and tear, ageing and improper handling or use of the products. Cushions and their covers are generally excluded from any warranty. The warranty period for our products is posted on this website, and may vary amongst products. In the absence of such indication, a warranty period of 12 months is applicable. Furthermore, the warranty immediately expires and will be no longer in effect in cases where the patio products have been processed or altered in any way, despite any existing defects. Users agree and understand that the use of this site is at their own sole risk. Velago makes no representations or warranties whatsoever, as to the completeness and accuracy of this site or the information or products included on the site. The colours of the products and materials you purchase with Velago may vary slightly from the ones shown in the pictures on this website. Please note that there might be errors or typos with the information contained on this website. Errors and typos will be corrected where discovered. Velago reserves the right to revoke a stated offer anytime and to correct any errors or inaccuracies, even after an order has been submitted, confirmed and/or charged to the users credit card or paypal account. Users agree to indemnify and hold harmless Velago and its owners, directors, employees and any other persons acting on its behalf, from any liability, claim, action or damage, including attorneys’ fees, made or incurred by any third party arising out of or related to the use of this site, as well as the processing and delivery of orders. Velago reserves the right to change the prices posted on this site without notice. All prices posted are excluding sales tax. The amount of sales tax will be calculated individually in the checkout process. Users agree that Velago may use their personal information provided either through this website or via phone for the purposes of processing their orders including delivery. Velago may forward this information to any third parties that are involved with processing the order. In placing an order through the Velago website or by placing an order via telephone or in person, a user represents and warrants that they are providing true, accurate and complete information, that they have the authority to place the order and that they are over 18 years of age. If for any reason you are not fully happy with our products, you may return any product purchased with Velago Patio Furniture within 14 of delivery. When returned within this time frame, we will take the patio furniture back and fully refund your payment. Please note, the product has to be in new and undamaged condition. The original packaging is required for all returns. Return shipments are the responsibility of the customer and may be subject to a fee. The shipping rates and charges posted on this website shall not apply to any orders with delivery to remote locations. For such orders, a shipping surcharge will apply. Please ask us about shipping rates and charges to your location, if uncertain. Velago will attempt to deliver the products within the indicated delivery periods and times. Please note that transport times vary based on your location within Canada. Velago cannot take responsibility for any unforseen delays or cases over which it has no control. Deliveries will generally be made to the curbside of the delivery address indicated on the order, and not into the home, maximally to the point to which the delivery service can drive their vehicle. Usually, this will be your driveway. Customers are responsible to inspect their item(s) upon receipt, before signing off on the delivery. Any possible transportation damage has to be noted on the delivery receipt of the carrier and notified to Velago within 24 hours of delivery.